BUILD A 1/3-MILE LONG WALL TO PROTECT YOUR COAL ASH? Dynegy is proposing to build a 1/3-mile long rock wall next to its two leaking coal ash pits to protect its toxic waste from the Middle Fork of the Vermilion River, which is moving west towards those pits. 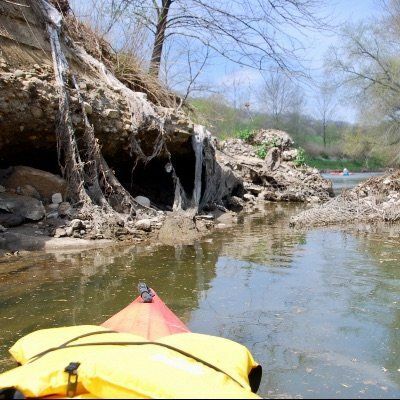 Dynegy's massive riverbank stabilization project will have real impacts to the Middle Fork, including water quality; scenic value; and recreational uses. But the Illinois EPA, Bureau of Water, already has made a preliminary determination that they will approve Dynegy’s plan. Agency representatives need to hear from you! 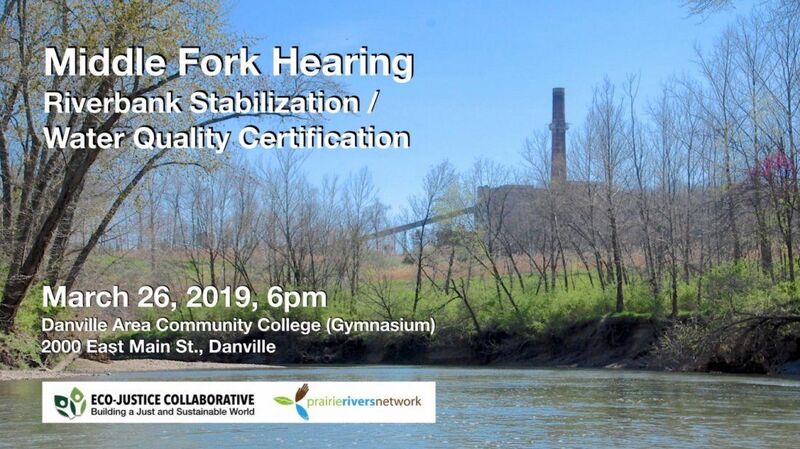 The only REAL solution is to remove the coal ash from the river's floodplain and place it in a lined facility where it no longer will be in contact with the groundwater There are other alternatives available that would temporarily protect the eroding riverbanks, but not harm the river. A pre-hearing rally will take place at 5:30pm in front of the gymnasium. 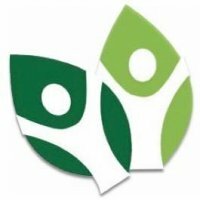 Eco-Justice Collaborative and Prairie Rivers Network have scheduled three opportunities to help you prepare oral and written comments at the hearing, or during the public comment period. Plan to attend one of these briefings, and bring along a friend. This is a Section 401 Water Quality Hearing hosted by the Illinois EPA, Bureau of Water, on Dynegy Midwest Generation's proposed Riverbank Stabilization Project.